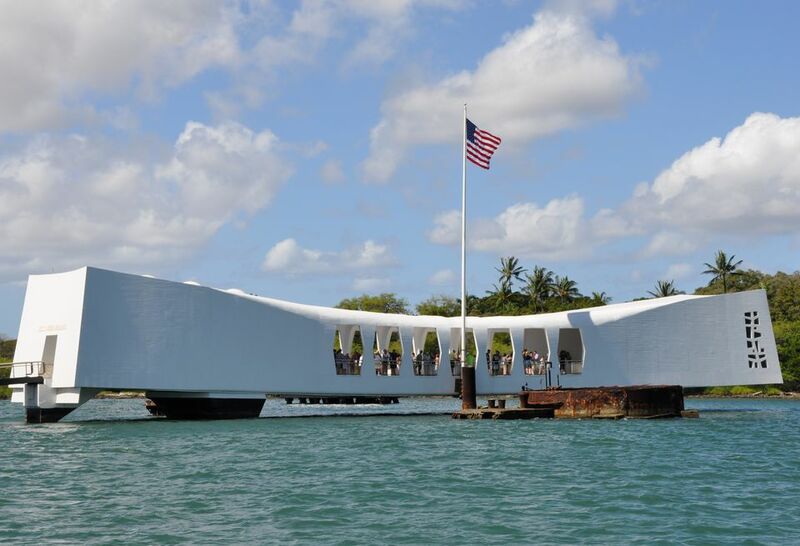 Before you visit Pearl Harbor, the USS Arizona Memorial and the other Pearl Harbor sites, it is helpful to learn a bit about the history of Pearl Harbor and the USS Arizona as well as of the other historic sites that you can visit in the area. With the articles listed below. we'll look at the early history of Pearl Harbor and learn how the area became home to the United States Pacific Fleet in the years just prior to World War II. We'll then look at the Japanese attack on Pearl Harbor on December 7, 1941 and its aftermath in the Territory of Hawaii and examine why we must remember what happened on December 7, 1941. Finally we'll offer numerous actual photos that were taken before, during and after the attack on Pearl Harbor. Many of these photos were classified for years. Hawaii's most popular tourist attraction has over 1,500,000 million tourists a year. We will help you plan your visit to this most solemn of places in Hawaii. Starting February 16, 2012, visitors have been able to order tickets in advance, and we'll explain this procedure. We also offer photos of the USS Arizona Memorial Visitor Center, the USS Arizona Museum and USS Arizona Memorial in Pearl Harbor, Hawaii. The USS Bowfin Submarine Museum & Park at Pearl Harbor offers visitors the chance to tour the World War II submarine USS Bowfin and view and submarine-related artifacts on (the) grounds and in the Museum. The USS Missouri or Mighty Mo, as she is often called, is anchored at Ford Island in Pearl Harbor within a ship's length of the USS Arizona Memorial, forming fitting bookends to the involvement of the Unites States in World War II. Visiting the USS Missouri or "Mighty Mo"
The highly anticipated Pacific Aviation Museum - Pearl Harbor (PAM) opened to the public on Dec. 7, 2006, the 65th anniversary of the Japanese attack on Hawaii. You can read our review and then view a gallery of 18 photos of the Pacific Aviation Museum on Ford Island, Pearl Harbor. Check out our selection of the top books, both new and old, written about the Japanese attack on Pearl Harbor on December 7, 1941. From John Ford's controversial 1943 docudrama December 7th: The Pearl Harbor Story to several new productions honoring the 60th anniversary of the attack, there are many excellent documentary choices. Numerous motion pictures and TV mini-series have been produced that are set before, during and after the Japanese attack on Pearl Harbor on December 7, 1941. These are our picks for the best films and TV mini-series about the events of the "Day that will live in infamy."